One of the oldest parks in Georgia, Indian Springs was constructed by the Conservation Corps. The beautiful stonework in the walls, spring house, and bridges showcase the artistry of the craftsmen. Add to that a peaceful lake and a well groomed campground for a very nice place to stay within a fifteen minute drive of I-75. A few of the campsites have views of the small lake on the property. Sites are well groomed and level. The shower house is clean and functional but showing its age. It is near to Juliette and Macon so there is a lot to do in the area, but it is also a good place to just relax. 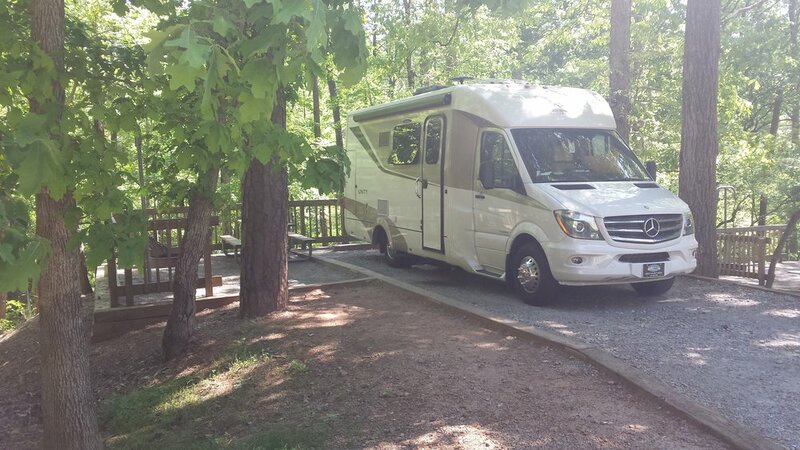 We have used this campground a dozen times while traveling south on I-75 and it is a consistently good experience. Located in Flovilla, Georgia just east of I-75 South between Jackson and Macon. Nearby is the town of Juliette where the movie "Fried Green Tomatoes" was filmed. 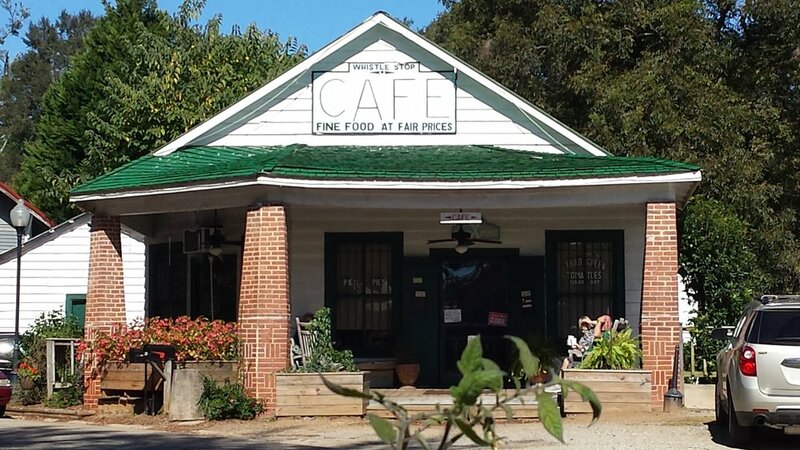 The restaurant, The Whistle Stop Cafe is still serving that delicacy while the movie set town is a fun walk through. The springs were the draw for this park from early times through today. The mineral rich water and tranquil setting will certainly sooth frazzled nerves. Along with the campsites, there are cottages for rent, a swimming beach, miniture golf, boat launch, a fishing dock, and hiking trails. There are also facilities for weddings and family reunions. 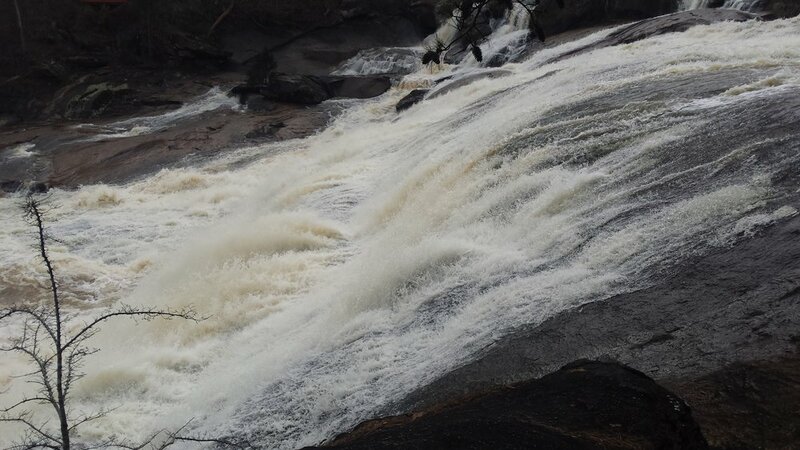 High Falls is a quick drive away. There are 60 campsites, 10 cottages, and a pioneer camp. Additionally, there is a group camp. The sites are wooded and offer electricity and water. There is a fire ring and picnic table as well as a lantern hook at each site. The sites are compacted gravel and well groomed so leveling the RV is a breeze.